Social media reports that Economic Freedom Fighters (EFF) President, Julias Malema has challenged Zimbabwe government officials including Vice President Constantino Chiwenga and Foreign Affairs Minister Sibusiso Moyo to seek medical attention in their own country. Malema made the remarks while addressing a press conference in South Africa on Thursday. Chiwenga and SB Moyo are believed to be battling for life in unnamed South African hospitals. Malema is alleged to have threatened to unleash ex-Zimbabwe soldiers if the senior government officials do not heed his call. "We don't want politicians who lie to their people. When problems come to them they seek comfort zone to South Africa. We know where they are hospitalized… we are going to release the foot and angry soldiers if we are not heard," said Malema. 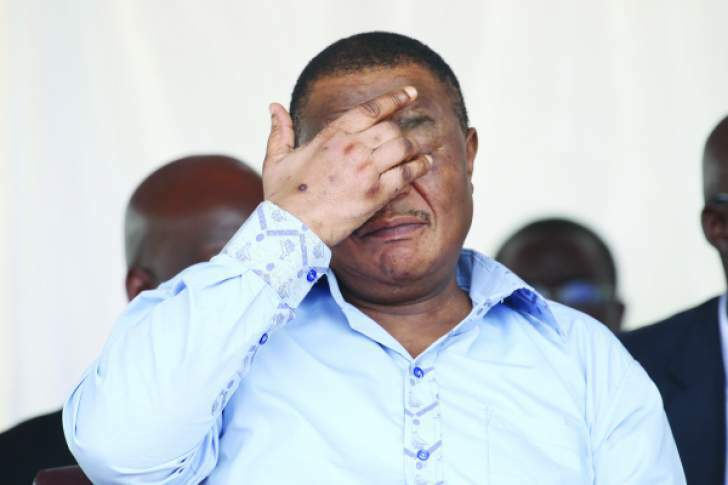 Chiwenga abruptly left a Cabinet meeting on October 2 after falling violently sick, and was rushed to hospital later than night. He reappeared in public on October 4 at a Zanu-PF politburo meeting, with visible swelling on his hands. The former Zimbabwe Defence Forces commander missed Cabinet this week after being airlifted to South Africa, according to government sources. "He's in a bad shape, critical. It's quite bad. His wife is with him but she has her own medical complications from a heart problem. You must keep them in your prayers," a government official with knowledge of Chiwenga's condition said. Chiwenga and his wife, Mary, have a similar medical problem which manifests in swollen hands and feet. They have also lost their skin pigmentation "all over their bodies", Chiwenga said in May. He said the condition started when he led a military coup against former President Robert Mugabe last November, and they had been to doctors who told them they could not diagnose what was afflicting them. In the end, Chiwenga said they had turned to traditional herbes recommended by a Catholic nun. Foreign Affairs Minister Sibusiso Moyo, an army general who took part in the November putsch against Mugabe, making a special broadcast to the nation, also remained in a South African hospital as of Thursday afternoon, although sources said there were plans to fly him to Zimbabwe where he would continue being watched by doctors. "It's a desperate situation with him," a source said. "If he is returned to Zimbabwe, the hospital that would be looking after him would be pretty much a hospice. That means there's no treatment available for him." Meanwhile, Justice Minister Ziyambi Ziyambi has been taken ill with an undisclosed ailment and was being seen by doctors in Harare on Friday.